If you’re interested in our services or just have questions, contact us. Delivering Great Customer Experience every day for every customer is the goal, but how do we get there? Our Circle of QualityTM approach is the answer - based on more than 40 years of experience. 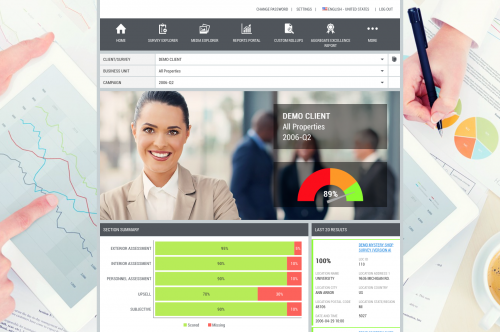 Celestial Reporting & AnalyticsTM is an advanced, online reporting platform that we can configure to the unique needs of your organization. With the ability to see, sort, and analyze your results in real time, Celestial Reporting & AnalyticsTM allows you to make data-driven decisions that can get your organization on the top.